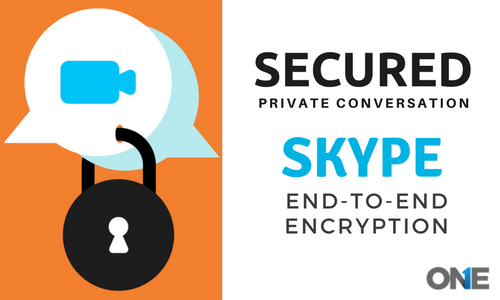 The mighty Skype instant messenger has secured its private chat conversations with end-to-end encryption. 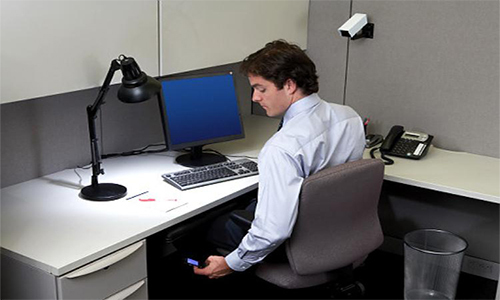 The Skype user can freely use the service without any hesitation and privacy concerns anymore. On the other hand, the renowned Microsoft is also cooperating with the famous encrypted communication-based company Signal to provide end-to-end encryption in order to facilitate the popular Skype social messaging app. The news has broken out that brings the satisfaction on the faces of the Skype instant messaging app users. Because Skype has brought change in its privacy systems and replaced its chats security with the end-to-end encryption. Therefore, the Microsoft has joined hands with the communication-based company Signal to support the Skype for setting its private conversation security with end-to-end encryption. The end-to-end encryption empowers its users no one, even the company server will be able to transmit the data, or get access to the Skype private conversation. A signal is basically a protocol or an open source cryptography protocol that has turned into a huge industry and it’s been used in the number of other social media apps such as Facebook Messenger, WhatsApp and Google Allow for secure messaging. The instant messenger Skype has coming up with its latest feature that is known as Dubbed private conversation, which provides its user’s end-to-end encryption for text messages, audio and video calls, multimedia messages such as photos and videos sharing on the social media platform. The mighty Skype digital media app private conversations will provide its user’s updated security integrated with the end-to-end encryption along with the extra layer of protection for the conversation happens between the friends, family members are the between the employees working in the working hours, “ the Skype company official has announced that. 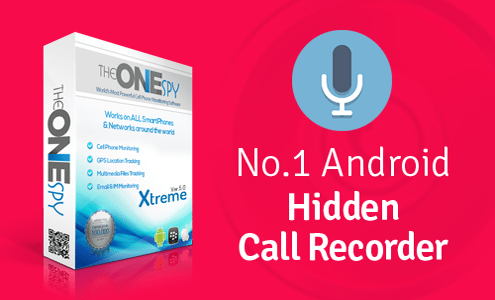 “Private chat conversations or Voice conversation can only possible on one on one contact. It would not be possible in groups”. Officials further added that. How will Skype provide end-to-end secured calls and chats? Skype private conversations are present into the programming “Skype Insider Program” it is actually software that enables Skype users to deal with its new features before all of the 300 million users of the Skype rolled out. If a user wants to have a new protected communication service for chat conversations, voice conversation and want to share media files. Then users have to tap on the icon (+) then further need to choose “New Private Conversation” and then select a particular contact. Now user can use end-to-end encryption in order to protect the conversations whether it is in the shape of text messages or voice conversations audio or video. If a user having a private conversation that also has a lock icon very close to your Skype name and the preview of all the messages and the chat conversation will not appear anymore in the chat list and even in the notifications. When it comes to rest of the social messaging apps such as Whatsapp, it is secured with the end-to-end encryption by default, but it is not the similar case with the Skype messenger. It means the Skype messenger chat conversation and audio and videos conversations are not fully secured and there is the chance someone hacks user’s Skype account or gets access into the messenger and can collect all the private information running into the messenger in the form of chat conversations. Skye messenger has used especially within the corporate sector where business executives usually make chat conversations on company’s private matters and share media files on the messenger. On the other hand, cyber ransomware attacks are on the rise, so the private data and the conversation could be compromised by the malicious black hat hacker. Recently, Whatsapp messenger that is already secured with the end-to-end encryption, potential attackers have exploited the Whasatapp flaws and to the encrypted chats. Furthermore, the popular Telegram social media app was in the news that Telegram has hacked and the hackers have targeted to the private chats of the users. This may let Skype officials secure the instant messenger to avoid un-authorized access intro users private conversations and chats. However, Skype has secured the private chat conversations with end-to-end encryption and it has provided its users an option to select “New Private Conversations” from the apps “Compose” menu, or from a user profile to have protected communication-it is similar to the Facebook messenger’s private conversations that are based on of signal. Anyhow, if a user wants to make a private chat or record Skype video calling conversations, it is not possible yet for the Skype, but it’s been already secured with the standard encryption that Microsoft already has provided to the messenger. Moreover, if the private conversations are enabled, the Skype even then get access to a little information (metadata) regarding protected communications, such as while starting a conversation and how long the conversation has happened. The Skype Insiders users have a privilege to test the conversations with the help of Skype developed version 8.13.76 for iOS and Android gadgets and for windows desktops and MAC laptops machines. The Skype Insiders users have a privilege to test the conversations with the help of Skype developed version 8.13.76 for iOS and Android gadgets and for windows desktops and MAC laptops machines.